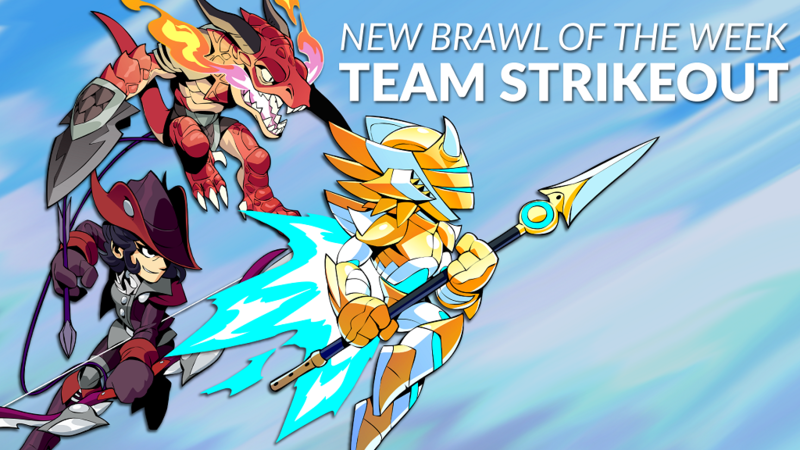 This week we’ve changed the Brawl of the Week – try your best in Team Strikeout! We also changed items on sale in Mallhalla, reset missions, and updated what Legends are on the free-to-play Legend rotation for this week. Brawl of the Week – Team Strikeout! You and your teammate pick your best three Legends and face off against an enemy team. 3 stocks for each player; run through your list of Legends as you lose stocks. K.O. all Legends on the enemy team to win! Queue along or with a friend! 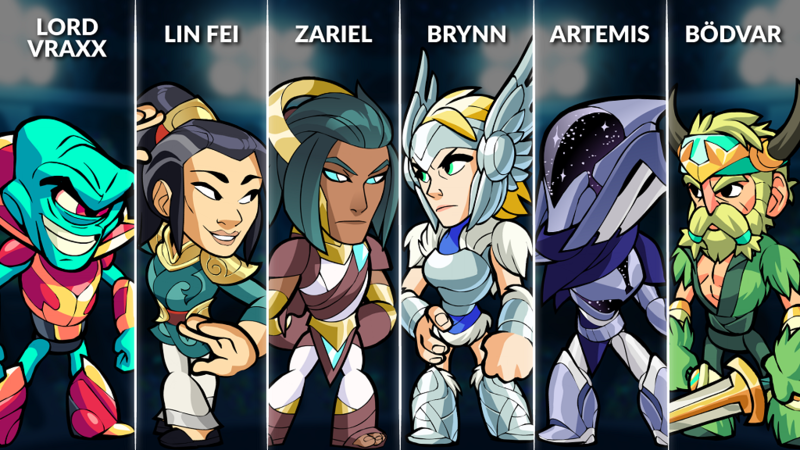 The new Legend rotation for this week includes: Zariel, Brynn, Lord Vraxx, Artemis, Lin Fei, and Bödvar. Zariel – The Celestial, a warrior deity of Holy Justice, who abides in blessed Elysium. Zariel uses Gauntlets and Bow to take down both Demon hordes and any warrior participating in the Grand Tournament.